On Monday Ken Levine promised to reveal new information about Bioshock Infinite DLC, and today we really have got the announcement. Moreover, the developers have told about two new completely different add-ons, showed their trailers and announced the Season Pass. The first Bioshock Infinite DLC will be combat-based. Clash in the Clouds addition allows you to combine different weapons and abilities and to fight against dangerous opponents. There will be about 60 challenges in 4 new locations, and for the first time in Bioshock Infinite you will be able to kill lots of enemies without any hidden logical sense. Clash in the Clouds is available from today, the 30th of July, however the developers have asked gamers to wait for some time, if in a certain region or for a certain platform this content isn't available now. 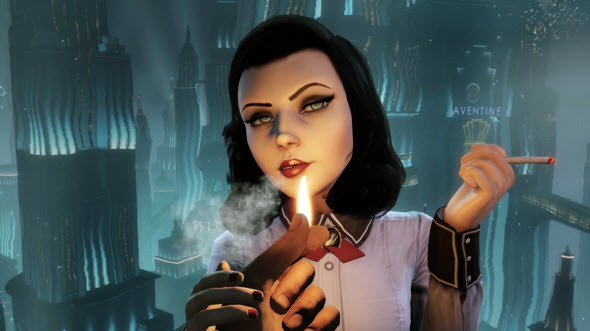 The second Bioshock Infinite DLC - Burial at Sea - is narrative oriented. Here you will be able to return to the Rapture - underwater city from the first Bioshock game. Moreover, you will see Rapture in its best moments, some time before the decay. In the first episode of this Bioshock Infinite DLC you will be playing as Booker with a little help of Elizabeth, but in the second episode the girl will become the main character. The first episode will leave lots of unanswered questions, and in the end everything will become clear. Burial at Sea: Episode 1 is a part of the game's Season Pass that is already available for $19.99. And if you have forgotten, how beautiful Bioshock Infinite is, we advise you to refresh your memory with our game's review.